This is absolutely the cutest and silliest little design. It stitches up quickly and easily using our Merino Wool Felt/blend. 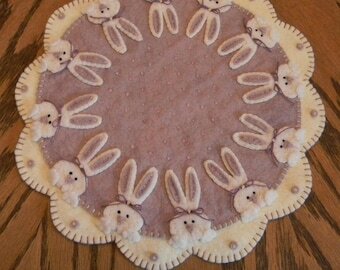 Add a candle or Spring/Easter tree (with ornies) for a fun addition to your Spring or Summer decor! 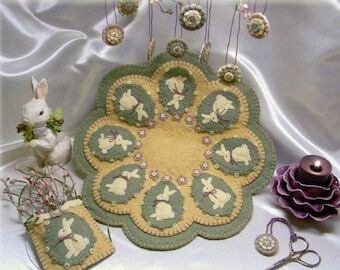 The candle mat measures 11", and each of the ornies measure 1-3/4" by 3-3/4", including the carrot top..
11" candle mat and adorable ornaments. 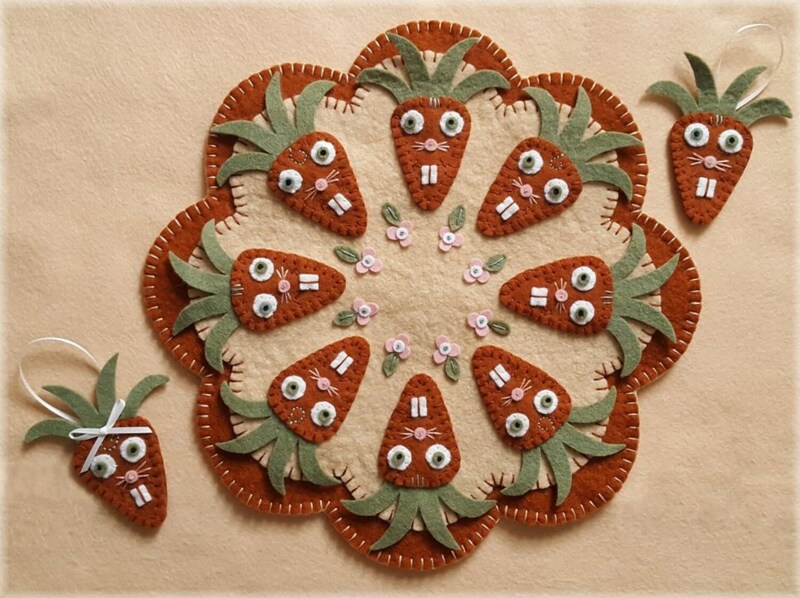 Add some fun charm to your home decor with this "Carrot Patch" design.